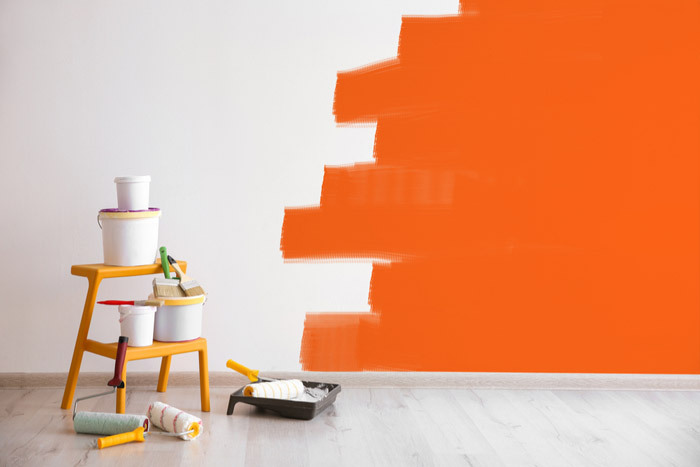 DIY painting may seem easy enough, but the reality is that there are so many things that can go wrong even when you do your best to prepare. That’s why reaching out to an experienced professional can deliver great results without stress. However, there’s something rewarding about doing it on your own. So, how can you ensure a high-quality coat? Having the right tools, technique, and a good steady hand are just a few essential factors that are needed. But, many people forget about these things before they dive in and find out why it should always be left to the professionals. So before you pick up that paintbrush, consider some of these common mistakes with DIY painting first and whether it’s really worth tackling on your own. If you don’t move furniture, cover your floors and get everything together that you’ll need before the first pass of the roller, it’s going to make extra work for yourself. Nobody wants to be bouncing around getting what they need after they’ve started, so try making a checklist of what you need, figure out when you’ll need it, and get set up in advance. For example, you don’t want to be dashing out for more paint, a ladder or spare roller brushes when you’re trying to apply a smooth coat. In addition, a little preparedness can protect from a time-consuming cleanup. This is also a good way to figure out the cost of the paint job. In order to get the results you want, you need to start off with quality painting tools. Using cheap brushes and rollers makes a noticeable difference since they leave loose bristles and patchy areas behind. Investing in high-quality tools is the only way to give your home the professional look you want. Forgetting to give the walls a good cleaning prior to starting is another common mistake with DIY painting. Even though your walls may appear to be in good condition, they usually house plenty of dust, dirt and grime from over the years. Without a thorough wipe, this could prevent the paint from adhering properly to the surface. This could require several coats of paint in order to cover up the surface thoroughly. Primer might seem like an unnecessary step, but in reality, it’s the one you don’t want to skip over. Primer can help your paint stick more easily to the wall. This can also save you more time and money when it comes to adding extra coats of paint. So if it seems like a step that’s not worth your time, think again! Let’s say you’re working on sprucing up the look of your kitchen, which is a high-traffic area. In this instance, the last thing you want to do is apply flat paint as the finish will be much harder to keep clean. Washable satins or semi-glosses are better-suited for such spaces. Using the wrong paint can be an expensive, time-wasting endeavour, so do your research and speak to experts in your area before buying. Leaving your furniture and floor unprotected will be one regret you won’t forget. Even if you’re as careful as possible, paint has a tendency to end up everywhere. It’s just the nature of it all. As annoying as it may be, this common DIY painting mistake is a very simple one to avoid. Always be sure to use the appropriate cloths to cover every inch of your furniture and flooring. Many people also choose to skip the painter’s tape because it takes time and effort to apply. However, it’s one of the biggest mistakes you can make when painting. The only way to get sharp, clean lines is to use tape around your edges. You can also prevent any ‘bleeding’ paint from reaching down to your floorboards or windows with a good quality tape. A big mistake is introducing your wallpaper to a layer of water-based paint, largely due to the fact that it can reactivate the glue and result in peeling. You’re not going to get a consistently smooth finish this way, so be sure to use an oil-based primer first in this instance. Other problems can include painting over high-gloss paint without sanding first, which results in the paint clinging less effectively. Not everyone is cut out for painting. It’s a tedious, time-consuming task that is always worth having a professional handle. And the reality is that you can always notice the difference between a trained hand and a DIY hand. So instead of taking on the painting challenge on your own, give us a call at To Do-Done. We offer professional painting services at very affordable prices, along with other handyman services for any of your household projects. Contact us today!